Advanced Gynecology & Surgery (Brooklyn) - Book Appointment Online! 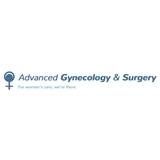 Advanced Gynecology & Surgery, a modern medical practice, with all the latest state-of-the-art equipment is located in the Sheepshead Bay section of Brooklyn. The practice is led by Dr. Faina Akselrod and Dr. Genia Bekker, Board Certified in Obstetrics and Gynecology and experts in the field of women’s health. Both doctors stress the importance of always taking the time to talk with patients, and to address their concerns. Whether you need an annual visit with tests, or you are an adolescent, or ready to become a mother, or are nearing menopause, our medical staff is dedicated to giving a complete, compassionate, and comprehensive obstetric and gynecologic care to women in all stages of life. First time and it was a great experience. Not the nicest person but very accurate and thorough. Didn't feel anything when she did the Pap smear which was great and was able to get a non-pregnancy related ultrasound done the same day in the office. Would definitely recommend!